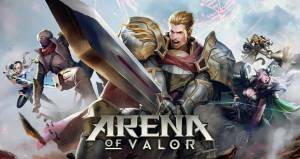 Arena of Valor is a free-to-play 5v5 multiplayer online battle arena (MOBA) that is a phenomenom in China with over 50 million Chinese mobile gamers playing the game where it is also known as Honor of Kings. The game itself is basically a slightly reskineed version of League of Legends with a few added tweaks to make it suitable for mobile. Just in case you didn't know League of Legends is the most popular video game in the world with over 300 million people playing it each month. What are the Hero Types? How can you get Heroes Free? What is the Best Hero to Start with? What are the Different Currencies? How do you Upgrade Characters? What are the Best Builds for a Character? No discussions open for Arena of Valor at the moment.